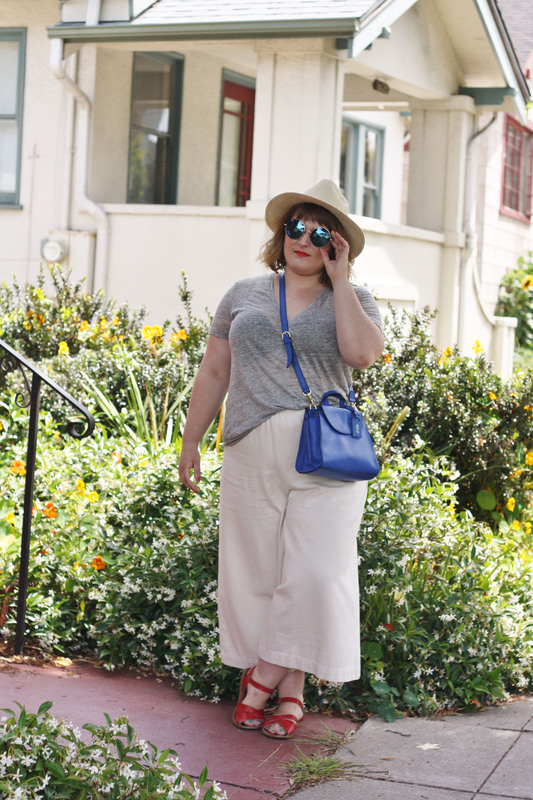 Hat – H&M | Top – H&M | Skirt – Old Navy | Clutch – Vintage | Flats – Madewell | Jewelry – Rocksbox, c/o | Lipstick – M.A.C. 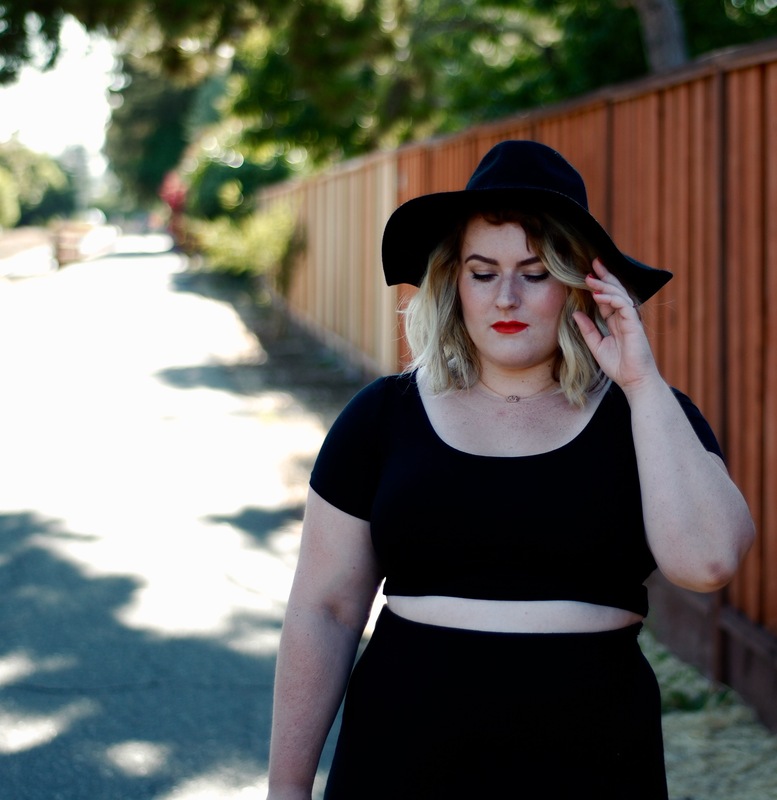 One of my favorite ways to wear black in the summer is in this sleek, two-pieced ensemble. This look is perfect for a romantic date night, as it shows just a few slivers of skin. I added a few sparkly bits from Rocksbox (keep reading to find out how to get your first box free!) and a swipe of hot coral lipstick to glam it up. How To: Find Your Perfect Red Lip! Matte or glossy? Warm-toned or cool-toned? Do I use a lipliner? Lipstick can be a tricky beast to master! It’s probably no secret that I know my way around a tube of lipstick. 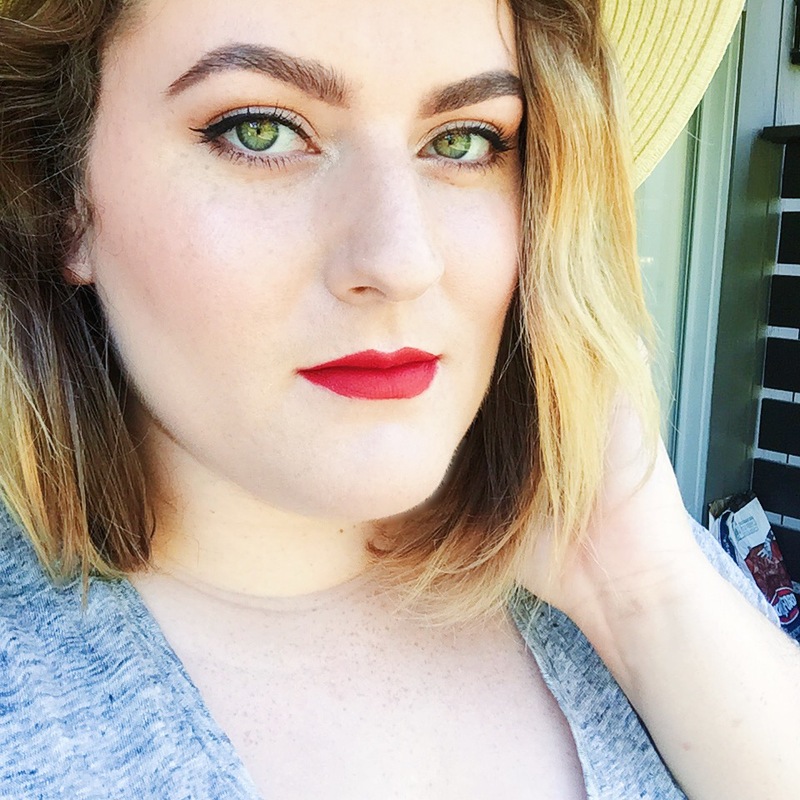 In honor of National Lipstick Day on July 29th, I’ve put together a handy article on how to find your perfect red lip! Check out How To: Find Your Perfect Red Lip! P.S. The red lip that I’m wearing in the photo above is Sephora Cream Lip Stain in Always Red! 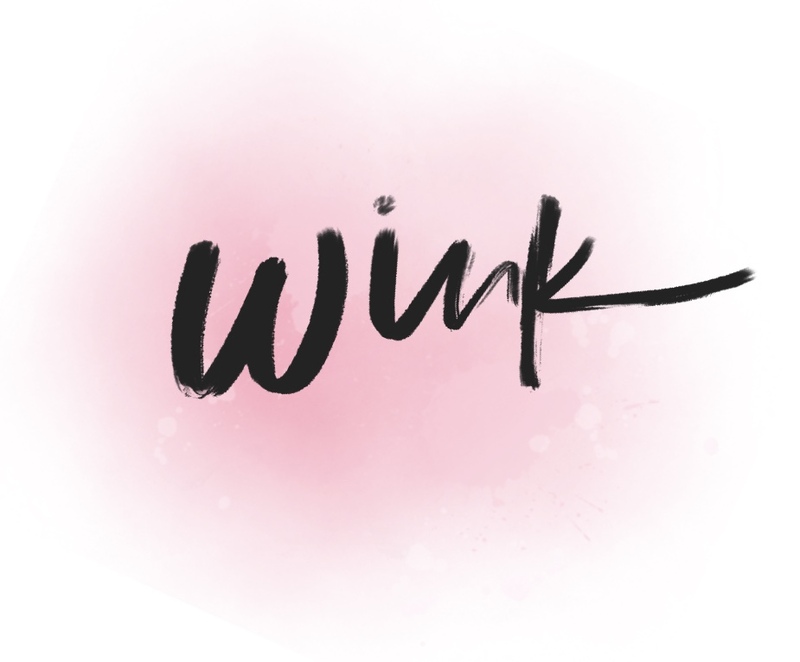 The Wink Turns 2 + A New Look! The Wink turns 2 today! While I loved the old look of the site, I decided it was time to freshen things up around here with a whole new layout and logo! I hope you liked the streamlined look as much as I do. Two years ago today, I clicked ‘publish’ on my very first blog post. To my absolute amazement, The Wink has surpassed any expectations I ever had when typing in those two little words into ‘blog title’ two years ago. In the past year alone I have managed to meet some of the people who have been inspiring me from the very beginning. So here’s to the next two years and many more! I have big plans for this little blog – this is only the beginning! How To: Fill in Your Eyebrows! Hello and happy Sunday! I’m so so so excited to share with you gals my first ever video tutorial! I’ve toyed with the idea of creating a video for this particular tutorial for a while now, as it is difficult to show through photos alone. 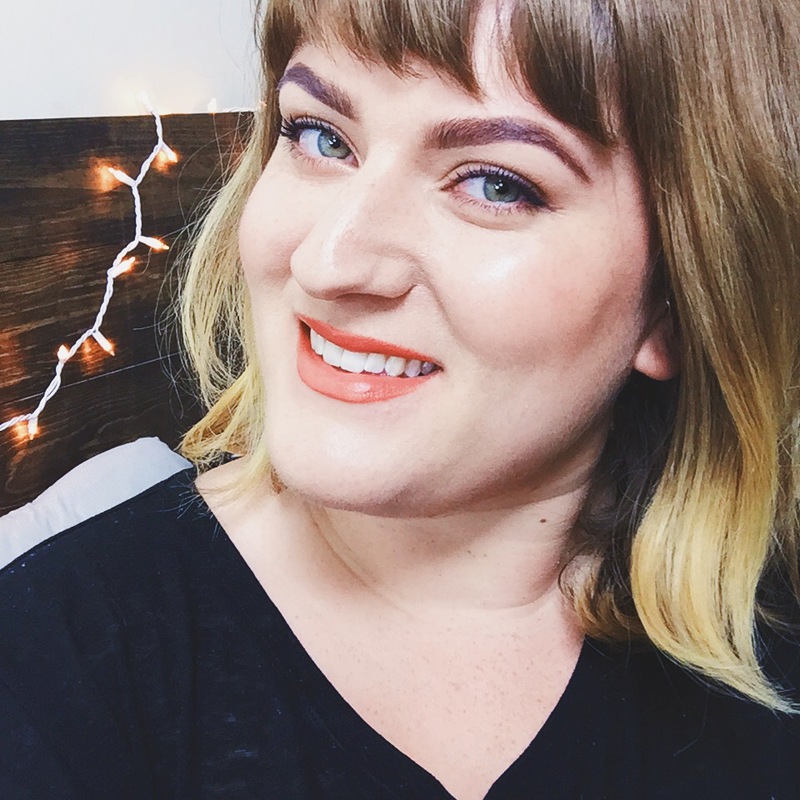 Fun fact – I actually created a ‘how to fill in your eyebrows’ video tutorial back in October 2013 but was too self-conscious to share it! My video filming and editing skills aren’t the greatest, and I didn’t want to produce sub-par content (also, sorry about the video quality – obviously I don’t make a lot of videos, so my camera isn’t wonderful). But hey, if all goes well, maybe I’ll invest in a better filming camera and give this whole YouTube thing a go! Happy Fourth of July! 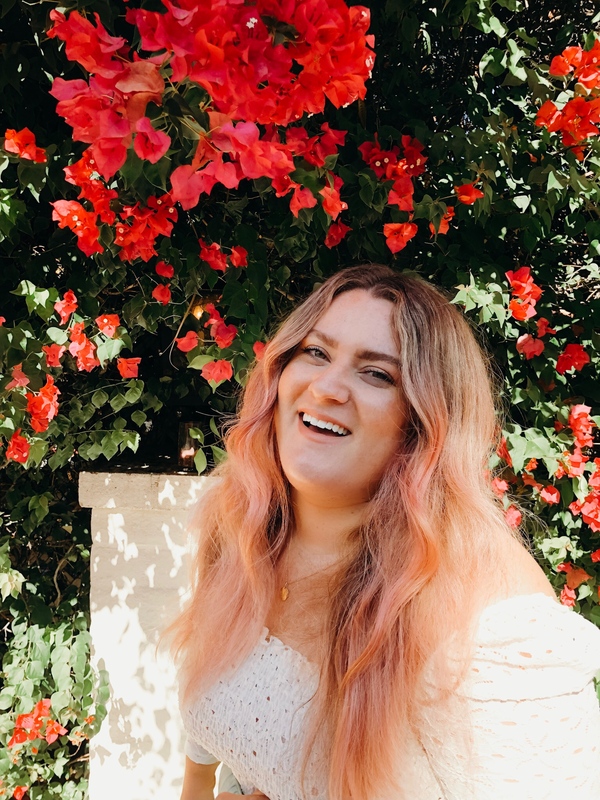 Brittany of Work it, Berk snapped these photos a few weeks back for a feature on her blog (check it out here! ), and I’m wearing what I now realize is the perfect outfit for the Fourth. I’m recreating this look today, as we’re planning a trip to the city to catch the fireworks. Fingers crossed that Karl the Fog doesn’t spoil our plans!